If you’ve been researching jobs in the healthcare industry, you may have some questions about certain certifications. Becoming certified as a pharmacy technician or medical coder, for instance, is fairly self-explanatory, and you can probably figure out quickly what those jobs would entail. A patient care technician certification may not be quite as clear. What kind of job does that certification afford you? Actually, there are actually many jobs available to those with a patient care technician certification. Monitor/Telemetry Technician: Also known as monitoring technicians or electrocardiograph technicians, telemetry technicians are trained to recognize heart rhythms and assist cardiologists. Hospital PCT: These technicians work closely with patients, in conjunction with nurses, and are sometimes called nursing assistants. 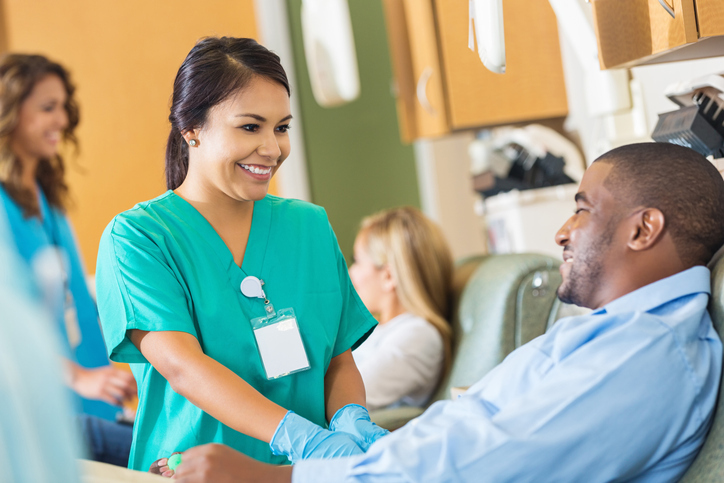 Dialysis Technician: Responsible for operating dialysis machines and monitoring patients, they help patients who are undergoing a medical procedure to remove waste from their blood and excess fluids from their bodies. Emergency Room Technician: Being an emergency room technician puts you in the middle of a fast paced environment, working under the direction of a registered nurse to provide emergency care to patients. Rehabilitation or Behavioral Technician: These technicians help doctors and nurses care for patients with behavioral issues like substance abuse, post-traumatic stress disorder, physical or emotional abuse, or mental instability. Interestingly, patient care technician certification is not difficult or expensive to achieve. In fact, you can complete the coursework to prepare you for this certification in as little as eight weeks. It’s less expensive than you might think, too, and there are often flexible payment options available. If you’re ready to look into patient care technician certification, ABC Training Center can help you reach that goal. A healthcare training institute that NYC students trust, ABC Training Center been serving students in the New York City area since 1972. We provide high-quality, nationally certified programs that prepare students for meaningful work in any medical setting. Continue browsing to learn more about our medical training programs in New York, or call us at 718-618-5589.